Our forecasts are unchanged following in line (with MKE and consensus est.’s) 2Q19 results with DPU stable q-o-q at SGD2.5cts. Near term, negative rental reversions could persist given oversupply of industrial space. DPUs however should be supported by its first greenfield build-to-suit (BTS). Fundamentals remain positive, with redevelopment growth optionality from its under-utilised GFA offering 4-5% potential DPU upside. Valuations are compelling too at 7.8% DPU yield and 19% total return to our DDM-based Target Price (COE: 8.0%, LTG: 1.5%). BUY. 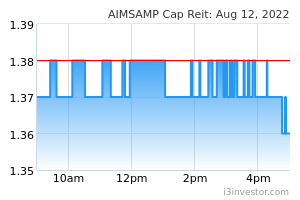 AIMS AMP's 2Q19 revenue rose 1.7% y-o-y from a full-quarter contribution of its first greenfield BTS development at 51 Marsiling Road. The property is pre-committed to Beyonics on a 10-year master lease with annual rental escalations. Meanwhile, active leasing during the quarter pushed portfolio occupancy up q-o-q from 91.5% to 93.5%. Rental reversion was at -9.8%, versus -0.8% in 1Q19. There was a similar read-through from peers, as the sector is coming off a huge supply surge and will require a further 1-2 quarters for excesses to clear. Management has backfilled more than 50% of expiring leases with 8.1% remaining in FY19. Its redevelopment work on 3 Tuas Ave 2 into a modern ramp-up facility with a 52% boost to GFA remains on track. We will factor in contributions from the asset when leasing details are available closer to its completion date. AAREIT further announced in Jul to undertake a SGD13.0m AEI at its 29 Woodlands Industrial Park E1 (NorthTech) facility to strengthen its portfolio in Woodlands, given long-term government-backed development plans for the area. Both projects are on track for completion in 2H 2019. Aggregate leverage remained stable at 33.6% and remains low relative to its peers. We see DPU growth levers arising from further asset rejuvenation opportunities, with about 7% or 0.5m sf of its portfolio GFA under-utilised. We estimate these redevelopment projects could boost DPU by 4-5%. Earlier-than-expected pick-up in leasing demand for light industrial and logistics space driving improvement in occupancy. Prolonged slowdown in economic activity could reduce demand for light industrial and logistics space, resulting in lower occupancy and rental rates. 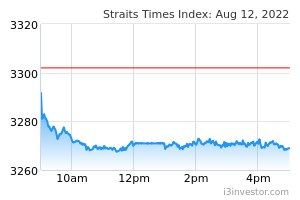 AUD/SGD volatility, which could impede hedging efforts and affect DPU.